Blog » How to fix problems sending or receiving MSN email? There are times when you are facing problem with your MSN e-mail . 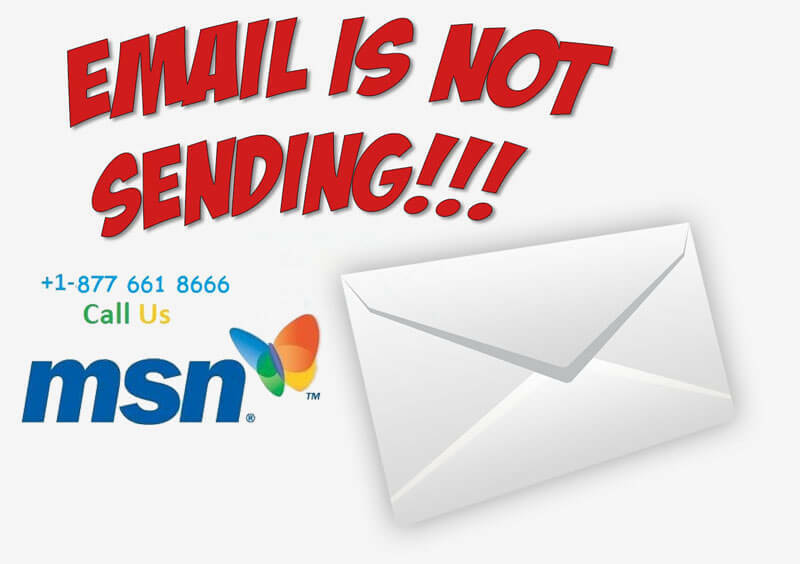 You are not able to send or receive MSN e-mail. There may be various reasons why you are facing trouble in sending/ receiving your MSN email. In this article, we are going to discuss How to fix problems sending or receiving MSN e-mail? Before moving further with the common issues, we have to confirm that this issue is caused by MSN e-mail .To know this first sign in to outlook with the email address and password, now check that whether you are able to view your emails. If you see the messages on the outlook.com website then it clearly indicates that there is a problem with MSN e-mail synchronization process. Problems sending or receiving MSN e-mail? How to fix the email synchronization on MSN? Rename the .sdf (sync files) from the database folder in your system. Just follow the instructions listed below on how to rename the .sdf files. Most of the time by renaming this file will fix your email related issue. Warning: Before you go ahead with renaming the SDF files in the database folder, it is always recommended to take a back up of archived emails which are stored in “folder on my computer”. Note: Before moving ahead with the steps, you have to Sign out from MSN then close all the program. Click on the Start Menu and click the Search icon in the upper right hand corner. After clicking Search box icon, type the following command and hit enter. c. Uncheck both the option “Hide extensions for known file types” and “Hide protected operating system files options” and click Apply and OK. The db30 folder will now appear inside the MSN folder. Open the db30 folder and then look for the files that ends as msn-com.sdf and msn-com_JMF.sdf. Close the db30 folder icon. Now Sign into MSN and wait for 30 minutes for the emails to get synchronized and this should fix the problems sending or receiving MSN email on our Windows 8 and Windows 10. Note: Before moving ahead with the steps below sign out from MSN and close all the program. Click on the ‘Start’ icon. Press the ENTER and MSN folder will get open. Once the db30 folder is appeared, Open the folder and then look for files that end as MSN-com.sdf and MSN-com_JMF.sdf. Now Sign into MSN account and wait for 30 minutes for the emails to get synchronized and this should fix the problems sending or receiving MSN email on Windows 7. Click ‘OK’ and the MSN folder will get open. In the MSN folder, follow the same instruction as mentioned above in Step 4 of Windows 8– (if you are unable to find the db30 folder). Now Sign into MSN account and wait for 30 minutes for the emails to get synchronized and this should fix the problems sending or receiving MSN email on Windows XP. There are some other reasons also because of them you might have trouble sending or receiving your MSN email. Here are some of the most common causes mention and also try to guide you how on you can fix the issue. • First of all, the most important thing is to make sure that you have an Internet connection by opening your web browser and trying to open a web page. If you are not able to go to the web page then you have to fix problems with your Internet connection first before you can fix problem sending or receiving MSN email. • In another situation, if you’re connected to a corporate network, the company’s firewall could be a reason for blocking your access. You can easily check with your system administrator to find out if there are any options available that will allow you to access your email. • Another reason could be MSN itself as in order to help reduce spam and junk mail, they limit the volume, number of recipients, and the type of email that can be sent in a day or a month, if you iverexceeds that limit the account is marked as Spam and blocked to send emails. This could be one of the reasons you can’t send the email. To verify that you are not a spammer, and to increase your the number of email that MSN Limits, you need to verify your account by adding a phone number here. If you have tried all the above mentioned steps and you still have problems sending or receiving MSN email, then contact our 24/7 instant MSN Helpline number 1 877-661-8666 for the USA and Canada. We provide free diagnosis and best advice that will surely fix your problems. Feel free to call the number or contact MSN support through chat or email.